Resuming Car Accident Compensation: 6 Facts to Know (Pt. 1), here we will continue to highlight some important facts to be aware of when it comes to compensation for your losses and damages caused by traffic accidents. Fact 3 – Car accident compensation can be impacted by your role in the accident. Although car accident compensation doesn’t usually include punitive damages, it should include compensation to cover the costs of your medical bills. Figuring out who was to blame (i.e., who was “at fault”) for the car accident is not always as cut and dry as people may think. In fact, in many cases, there may be more than one person (or entity) at fault for causing the accident, and in some cases, the victims themselves may have had a small role in contributing to a traffic collision. For instance, if a pedestrian crosses the street against the light (or in areas outside of designated crosswalks/intersections) and gets hit by a drunk driver, the pedestrian – although the victim of a drunk driver – still has a small role in causing the collision. Just because accident victims may have contributed to a collision does NOT mean that they will not be able to obtain some car accident compensation. The car accident compensation in these cases may be reduced by a value proportional to the level of negligence victims are assessed as having contributed to the collision. It’s best to consult with an experienced attorney in these cases to find out more about your best options for pursuing car accident compensation. Fact 4 – Car accident compensation doesn’t usually including punitive damages. This is because car accident compensation generally only includes compensatory damages, which are intended to compensate victims for their injuries, losses and damages related to the collision. They can be difficult to secure. Courts can be reluctant to award them. They usually are only reserved for certain types of personal injury cases (like, for instance, insurance bad faith cases). 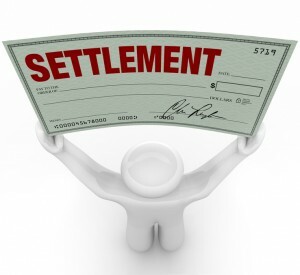 So, in general, it’s usually the case the traffic accident victims should NOT expect punitive damages to be a component of their car accident compensation. Instead, they should focus on adding up all of the costs of the damages and losses they’ve suffered as a result of the accident, as this will comprise the sum of the car accident compensation they can reasonably expect to receive (as long as they are able to establish their case). For some final important facts to know about car accident compensation, check out the upcoming conclusion to this blog series! Have you or a loved one been hurt in a traffic accident? If so, Colorado Springs Car Accident Attorney Kenneth Shakeshaft is ready to advocate your rights, help you recover financially and ultimately help you put your life back together. Since 1982, Kenneth Shakeshaft has been providing people injured in motor vehicle accidents with superior legal service, helping them stand up to insurance companies, large corporations and/or government entities.